Health Investigation moves a step forward | Mothers Against Wind Turbines Inc. Conversations surrounding the Huron County Board of Health’s investigation into industrial wind turbines (IWT) are ongoing. Most recently Jane Wilson, President of advocacy group Wind Concerns Ontario, gave a presentation to the board on August 4. In March, the board had posted an announcement on their website about a study they planned to carryout regarding the health impacts of IWTs, and people began to sign up. However several months later, they paused the study. They said they were unsure of the costs of the endeavor and were concerned they didn’t have the resources to ensure the study was done effectively and is actionable. Not long after, the staff member who was to carry out the study was let go. This caused ripples through the community and was particularly upsetting for individuals who were strongly advocating for this study to happen. During the board’s June meeting, the board discussed a potential opportunity to partner with the University of Waterloo (UW) for a study. This was again a strong theme at the meeting on August 4, and two professors from UW were present at the meeting. 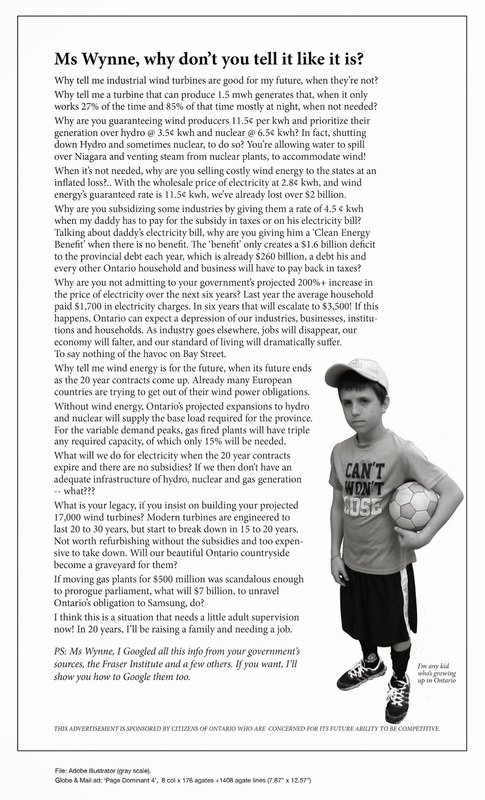 Wilson explained that Wind Concerns Ontario is a coalition that is concerned about IWTs’ effects on the economy, natural environment and human health. She gave a ten-minute presentation covering a variety of areas including conclusions of other studies and gaps in other studies and various kinds of noise, both audible and inaudible, and how they affect people. Previous PostInvestigate wind turbine health effectsNext PostWhat side of the fence do you live on?